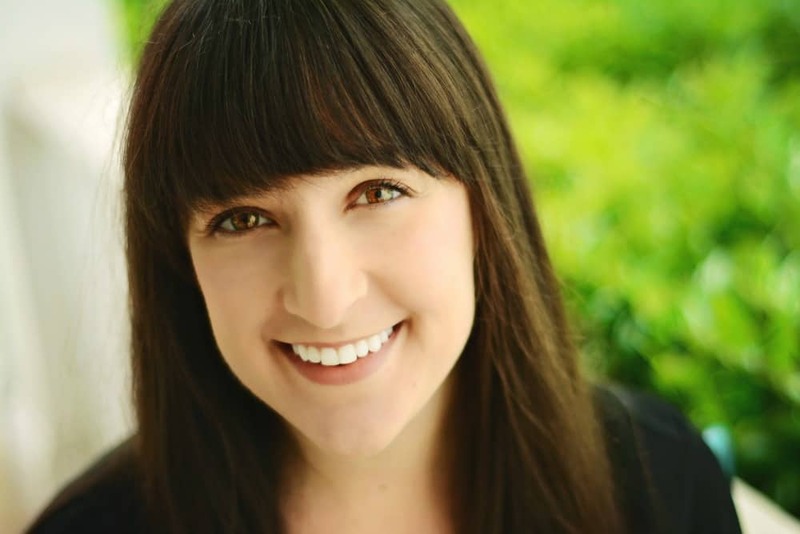 December 15, 2016 By Liz 30 Comments Note: This post may contain affiliate links. 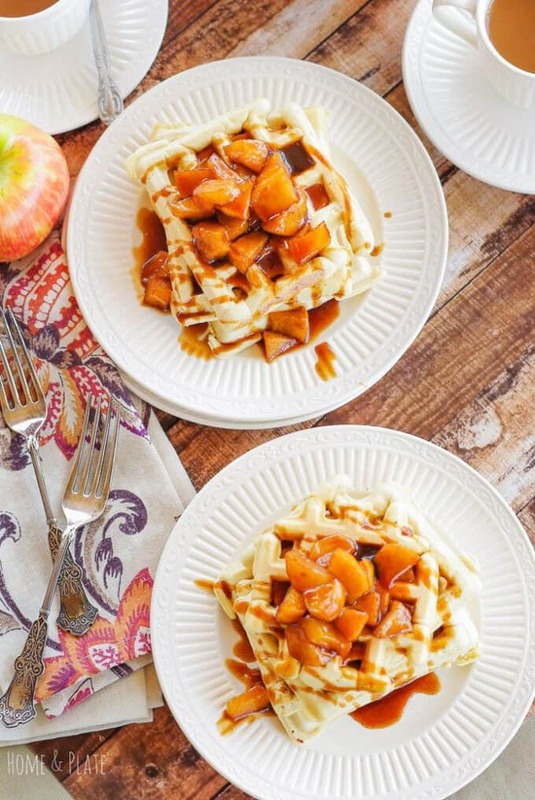 These fluffy caramel almond waffles from Home and Plate would be amazing on their own but topped with an apple cinnamon syrup, you might want to eat breakfast for every meal. Pumpkin pie isn’t just for Thanksgiving dinner. These pumpkin pie waffles with cream cheese drizzle from Love, Pasta, Toolbelt would be perfect for breakfast or dessert. 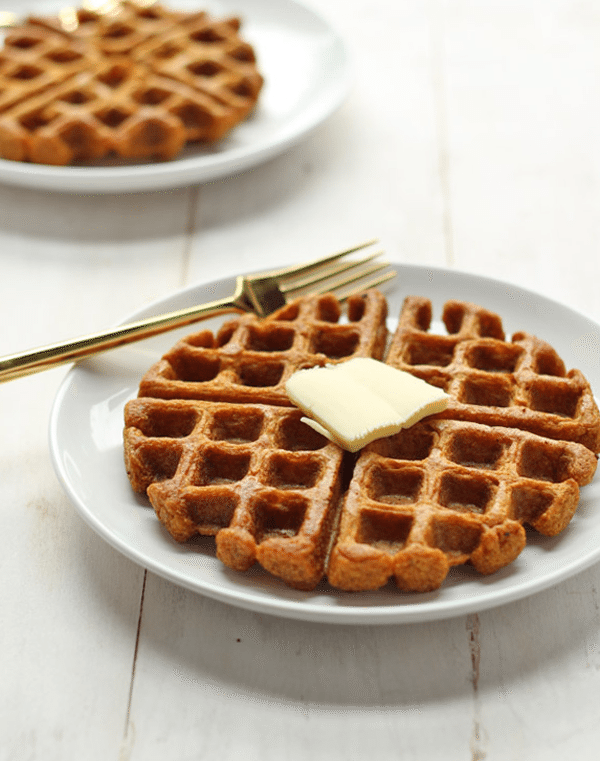 Speaking of pumpkin, how about a pumpkin cornbread waffle for a little sweet & savory twist? The Balanced Berry has you covered. Need a holiday waffle idea? It doesn’t get more festive than this eggnog waffle casserole from Finding Zest. Throw some veggies into your waffles with these overnight sweet potato Belgian waffles from Syrup and Biscuits! If you really feel like getting in your veggies, try a batch of zucchini and carrot waffles from My Life Cookbook. 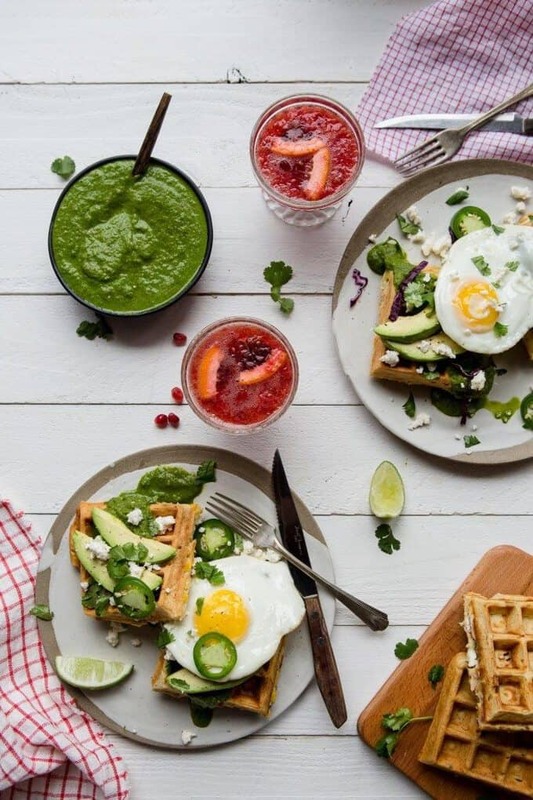 These savory Mexican Waffles from My Kitchen Love are just screaming to be featured as breakfast for dinner. A batch of savory cornmeal and chive waffles from The Gingered Whisk would be a welcomed addition to any brunch spread. 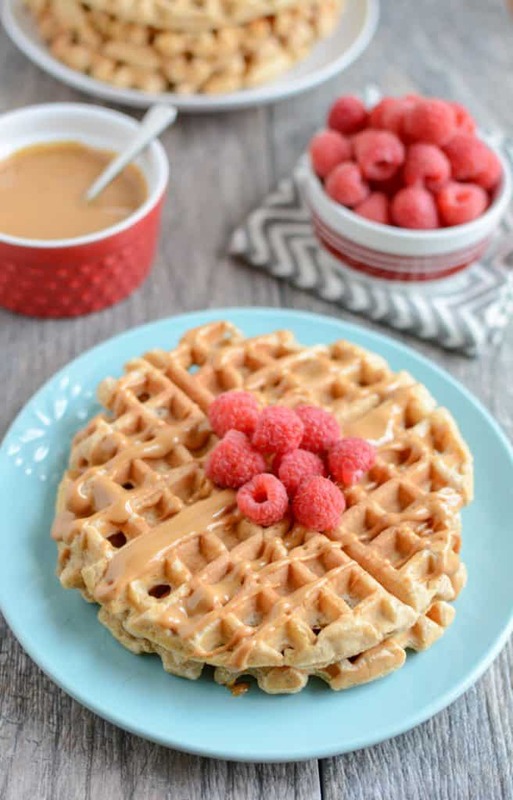 For the low-carb or paleo eaters, you can still participate in the waffle festivities with these flourless almond butter waffles from Wholesome Yum. Or you can go low-carb and nut-free with these coconut flour waffles from Low Carb Yum. 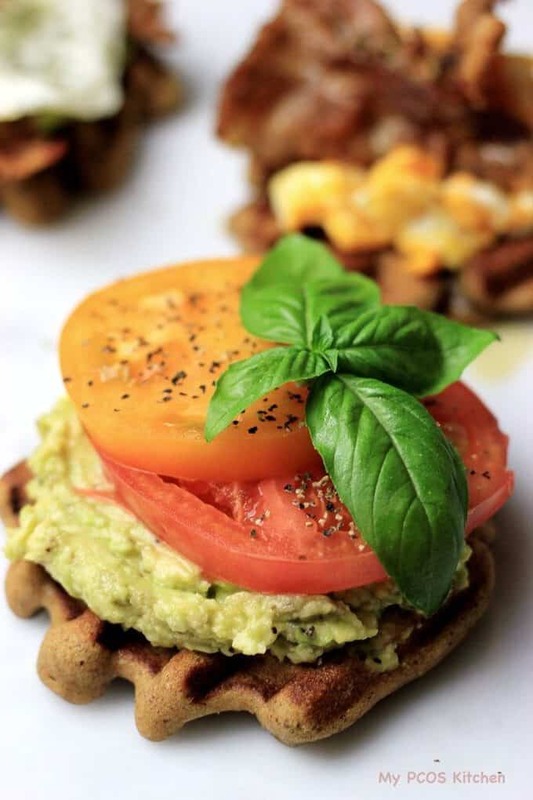 Move over avocado toast, these avocado paleo waffles from My PCOS Kitchen are stealing the spotlight. Skip the muffins and satisfy your lemon poppyseed desires with these lemon poppyseed waffles from Spabettie. Breakfast? Dessert? I’m not sure but these dark chocolate waffles from The Worktop would be delicious for both occasions. Speaking of dessert, these whole wheat gingerbread waffles from Living Lou would make an amazing holiday brunch dish or dessert! 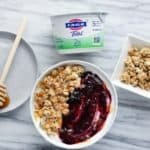 These whole wheat yogurt waffles from The Lean Green Bean are freezer friendly so you can have breakfast ready at any time! Chocolate chips make anything better so these gluten free almond chocolate chip waffles from Nourished, the blog, might be at the top of my list! 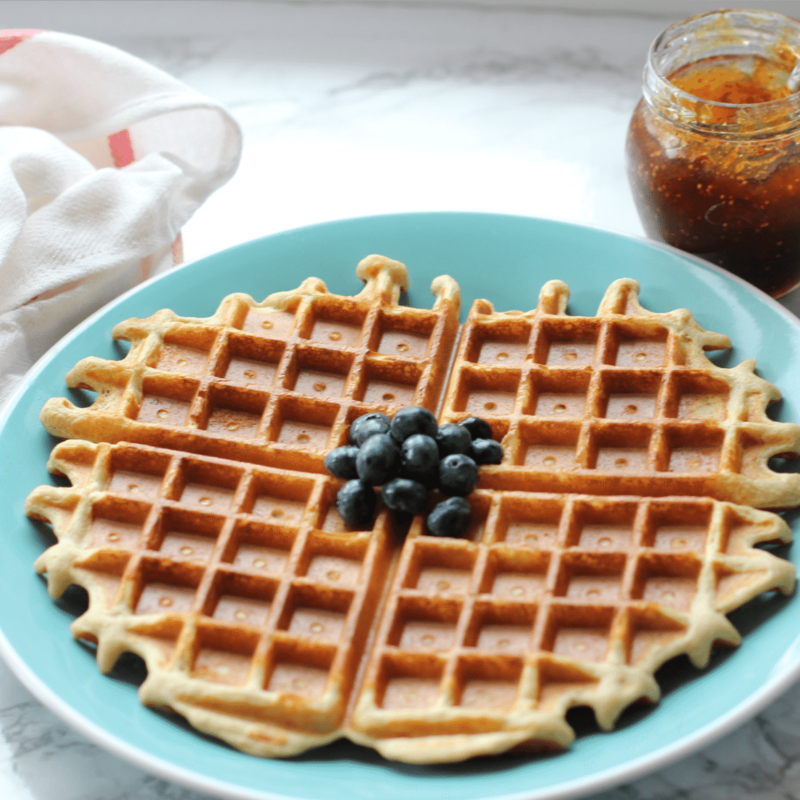 Put your blender to work with these sweet potato waffles and blueberry sauce from Emilie Eats. What’s your favorite waffle recipe? Share in the comments below! 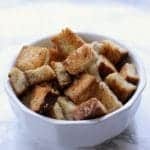 These recipes look fabulous Liz! Our nice waffle maker broke a few years ago and we had to pitch it. But I saw a great sale on All Clad ones at Williams Sonoma last week and so I got one for the family for Christmas. It should arrive any day now, I will definitely be back here to try out some of these great waffle recipes on our new waffle iron! I like waffles because I do like the crispy exterior. Plus they are easier to clean up after and maintain. Way back when, I used to post a waffle recipe weekly. Maybe I’ll get back into that. Riley got me a waffle make for Christmas last year and we’ve used it three times. I’m so ashamed because waffles are so good! I need to get in the habit of making a bunch at once and freezing them. Thanks for sharing! Sweet or savory waffles – I don’t care so long as I get a waffle! I was actually just talking with someone today about my love of waffles and how I NEED them at least once a week. Oh yum! These all look delicious! YUM! I think that waffles are more delicious than pancakes because they have the little divets which perfectly house the butter and syrup! 😀 I love a classic Belgian waffle with fruit and maple syrup! Wow. Those all look spectacular! Gheesh! I shouldn’t have read this before dinner. Great round up. I really need to get a waffle maker. Those pumpkin ones sound and look delicious. Ahhh, I loooove waffles! I can’t wait to eat my way through this list. My favorite recently has been these acorn squash waffles I’ve been making with oats and whole wheat flour – so good! 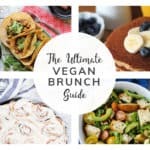 Thanks for including my Mexican Inspired Waffles in this gorgeous roundup!! Can’t wait to make some waffles after seeing all these mouthwatering recipes. These all look amazing!! I know what I’ll be having for breakfast this weekend 😉 Thanks for including my recipe. Oh my goodness!! What a fabulous roundup!! I’m dying to try the pumpkin waffles! But the gingerbread ones looks fabulous too! Thanks for posting this! What a fab collection of recipes but those Mexican ones sound amazing. YUMMY…these all look mouth watering and I want them ALL! I don’t even have my coffee yet, this is so unfair! I would LOVE one of your waffles, any one of them, right now! YUM! Pinned. I’ve never been a great fan of waffles but I have to admit that this post has given me some real inspiration. I honestly didn’t realise they could be so versatile! 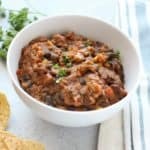 Such a fun roundup of yummy recipes! Even better that they are all holiday themed 🙂 Oh, good smells all day, everyday! I’ll take waffles over pancakes! And savory waffles- oh yum! Thanks, Liz. Now I need to get a waffle maker!? These look amazing! I so want waffles after reading this. Haven’t had any in way too long. I’m rather fancying a cheese one at the moment. Thank you for including us in this great round up. Gosh, you’ve got so many great waffle recipes in this post. There’s not one I’d turn down.